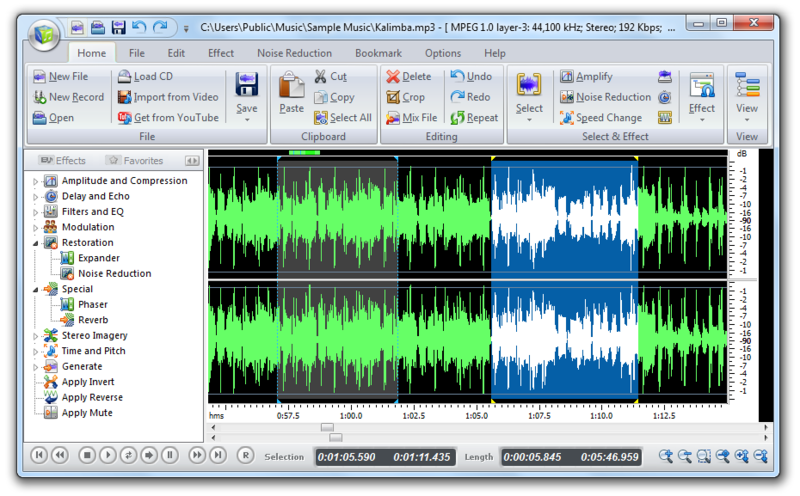 Power Sound Editor Free is a visual audio editing and recording software solution, which supports many advanced and powerful operations with audio data. You can use Power Sound Editor Free to record your own music, voice, or other audio files, edit it, mix it with other audio or musical parts, add effects like Reverb, Chorus, and Echo, and burn it on a CD, post it on the World Wide Web or e-mail it. Power Sound Editor Free is 100% Free! Advanced Audio CD rip/burner features support the ability to rip audio CDs to MP3, WMA, WAV, and OGG files or burn audio CDs from MP3, WMA, WAV, and OGG files. A full featured and ease-to-use tag editor for MP3, WMA and OGG file. A fully customisable syntax colouring programmer's editor for any language. Create your CHM file from *.html, *.mht, *.txt, *.doc and *.pdf with PowerCHM. Advanced hex editor with many additional tools. Advanced User Interface. Draw any figure in minutes easily, and share it in anywhere. Audio editor (sound editor) software. Supports unlimited undo of operations. Qweas is providing links to Power Sound Editor Free 7.3.6 as a courtesy, and makes no representations regarding Power Sound Editor Free or any other applications or any information related thereto. Any questions, complaints or claims regarding this application Power Sound Editor Free 7.3.6 must be directed to the appropriate software vendor. You may click the publisher link of Power Sound Editor Free on the top of this page to get more details about the vendor.